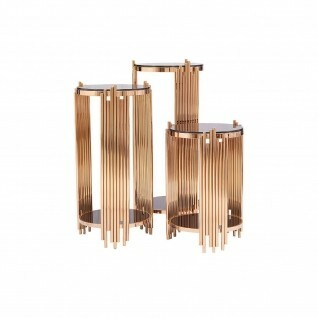 Branch console table by Roberto Grassie is an ultra-low console with a combination of gold, silver and wood finishing. 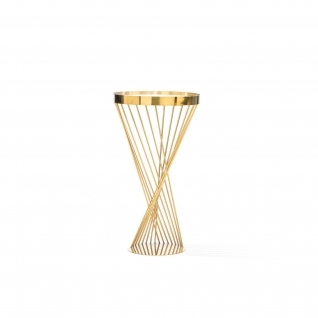 The base is a branch shaped polished stainless-steel silver finish coupled with the gold framed top which encloses the beautiful dark brown wood finish, making this piece more than just furniture, it is simply a piece of art. 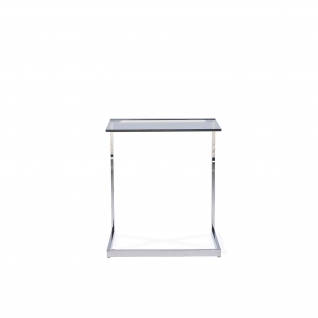 The Flow console table features a modern geometric designed base, it is finished with a polished stainless-steel base and a clear glass top. 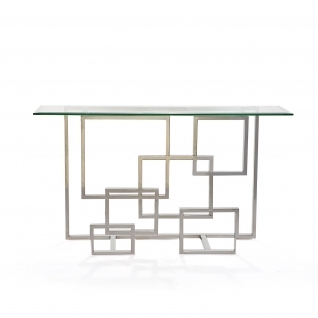 The flow console table leaves up to its name with flowing metal designed base and excellent workmanship on the metal which creates seamless transition from one geometric shape to the next. 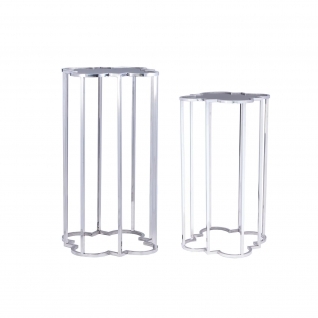 Flow End table is really and accessory which can be used as an end table. The perfectly polished rose gold stainless steel finish on the piece and the almost flowing liquid design is just the perfect accent piece in any set up. 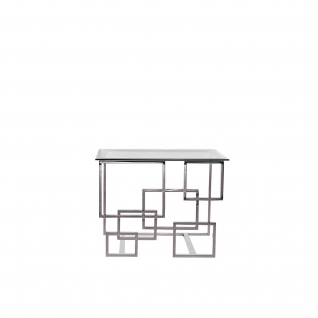 Franz modern end table is the ideal “C” table. 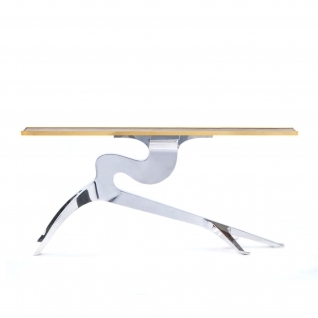 With a sold structure and a very good balance the Franz table allows for the perfect accessible surface for your drink or even a perfect working space for your laptop or tablet. Easy to move around and sturdy design the Franz is the perfect small table for your modern set up.It is available in polished stainless steel finishes with clear glass top. 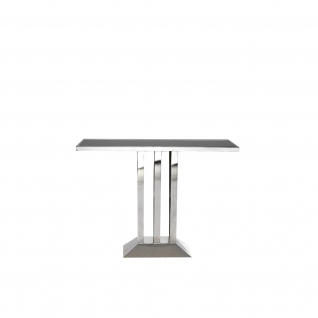 Franz modern end table is the ideal “C” table. 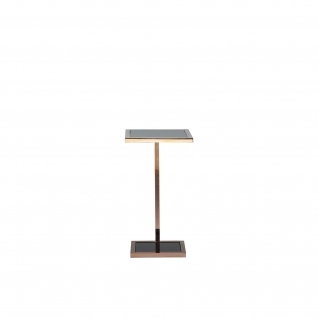 With a sold structure and a very good balance the Franz table allows for the perfect accessible surface for your drink or even a perfect working space for your laptop or tablet. 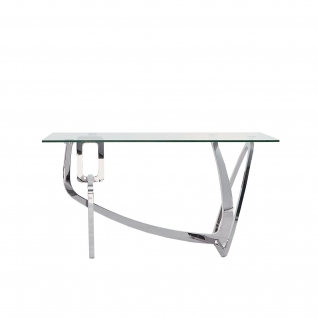 Easy to move around and sturdy design the Franz is the perfect small table for your modern set up.It is available in polished or brushed stainless steel finishes with clear glass top. 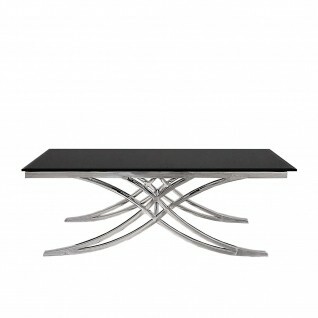 Loki modern coffee table features twisted interlocking base in polished stainless steel finish. 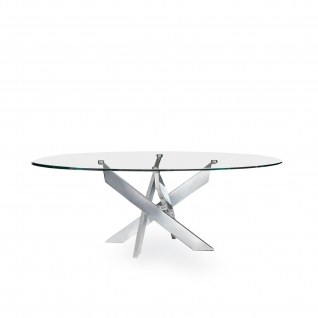 The Loki coffee table has a oval shaped tempered glass top that attaches to the base when installed. 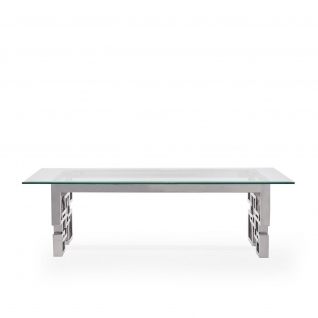 The compact size and the modern deign of the loki coffee table makes it an ideal choice for modern living rooms. 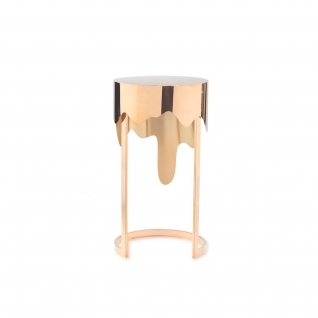 Martini rose gold elegant end table is the ideal small piece to compliment the main coffee table and end table. The “C” shaped structure allows the Martini table to slide under the sofa and the top to go over the arm for a convenient surface for your drink. The Martini features a polished rose gold stainless steel frame with a black glass top and a black marble on the base for added stability and look. 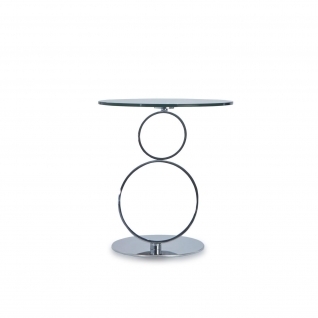 Omnia modern coffee table with the rotating mechanism allows this beautiful table to be very functional as well. The Omnia will start as a small rectangular table and will open up to two levels of rectangle surfaces. 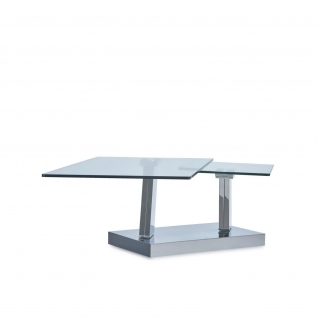 The Omnia table features a polished stainless steel base with clear tempered glass tops. 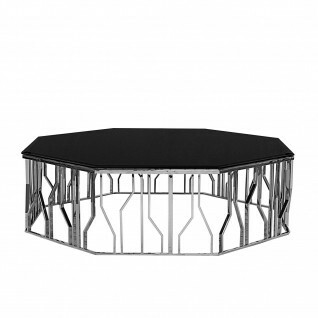 Ring elegant coffee table has a beautiful modern design coupled with a functionality that will wow your guests. 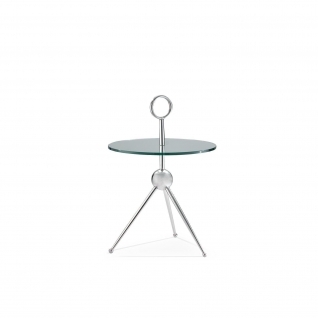 The Ring is perfect for smaller spaces with the round shaped glass top, however when more surface is needed, with a simple motion the Ring will extend to double level coffee table. 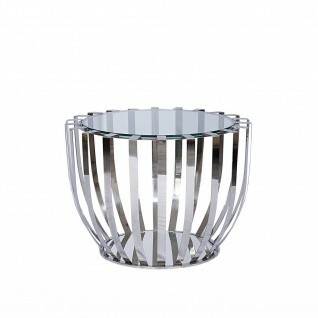 Ring end table features polished stainless steel base with clear glass top. 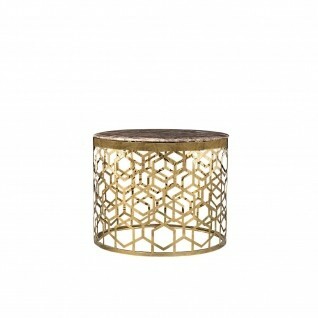 It is a large size end table which complements the ring coffee table perfectly. The rings are placed at a slight angle and the glass also sits on top with an opposite angle and therefore giving the illusion of a balancing act. It can also be used as a bed side table for a modern setup. 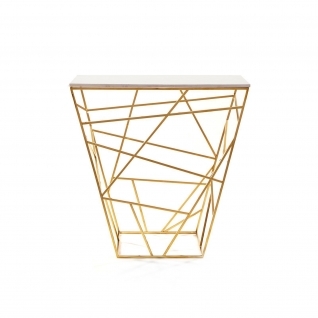 Taper console table features interlocking cubes finished in polished gold stainless steel finished with a black marble top. The taper console is a work of art that can hold its own in any setting. 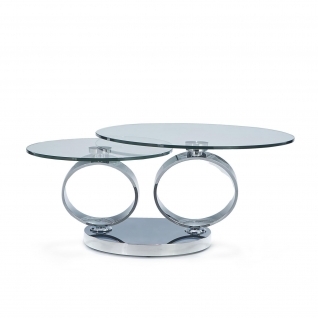 Varossi silver trio round modern coffee table features silver stainless steel base and frame supported by clear lucite connections with black tempered glass top. Lorensia Luxury Flower Stand features rose gold polished stainless-steel frame with black glass top. It is available in three sizes. 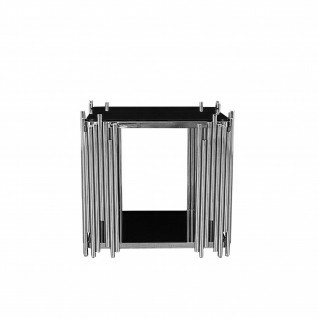 Lorensia Luxury Flower Stand features silver polished stainless-steel frame with black glass top. It is available in three sizes. 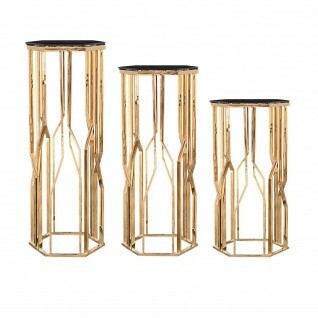 Mauris Luxury Flower Stand features rose gold polished stainless-steel frame with black glass top and bottom shelf. It is available in three sizes. 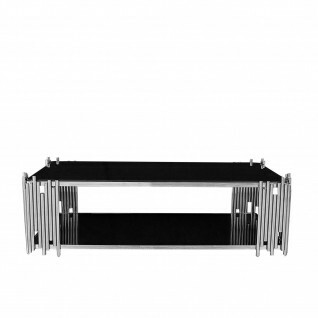 Mauris Luxury Flower Stand features silver polished stainless-steel frame with black glass top and bottom shelf. It is available in three sizes. 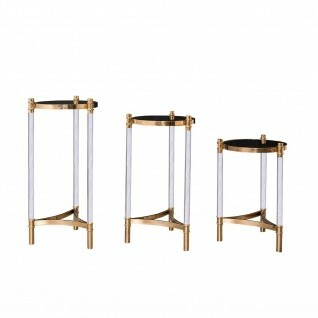 Varossi Luxury Flower Stand has black glass top and rose gold polished stainless-steel frame with clear Lucite frame connections. It is available in three sizes. 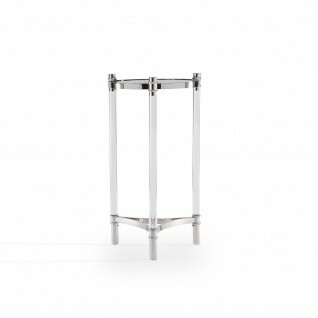 Varossi Luxury Flower Stand has black glass top and silver polished stainless-steel frame with clear Lucite frame connections. It is available in three sizes. 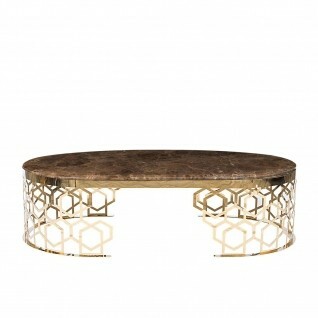 Alveare Luxury Oval Coffee Table has a brown marble top with rose gold polished stainless-steel base. 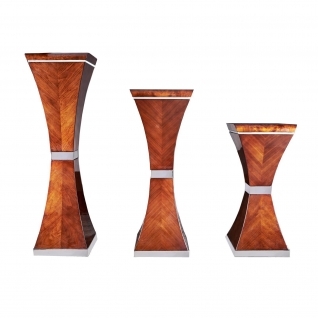 Alveare Luxury Oval End table has a brown marble top with silver rose gold stainless-steel base. Alveare Luxury Oval Coffee Table has a brown marble top with silver polished stainless-steel base. 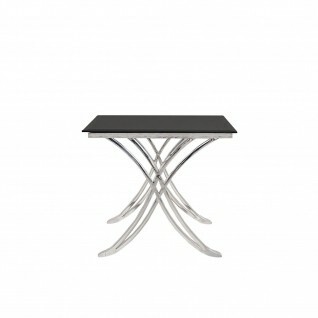 Valora Modern Rectangular End Table has a 12mm tempered black glass top with silver polished stainless-steel base. 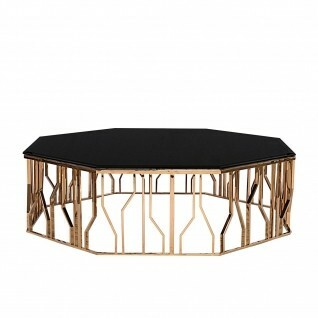 Lorensia Luxury Large Coffee Table features an octagon shape black glass top and rose gold polished stainless-steel base. Also available in small size(Hexagon shape). Lorensia Luxury Large End Table features an octagon shape black glass top and silver polished stainless-steel base. Also available in small size(Hexagon shape). 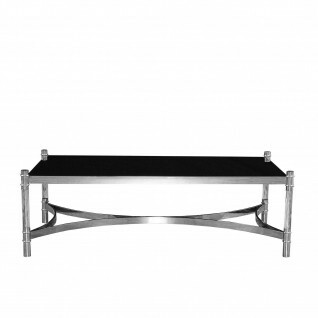 Lorensia Luxury Large Coffee Table features an octagon shape black glass top and silver polished stainless-steel base. Also available in small size(Hexagon shape). 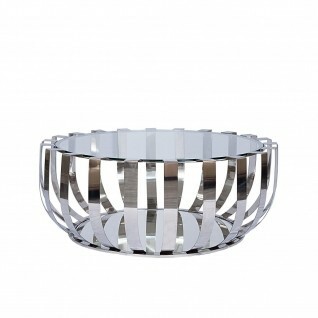 Boni luxury round coffee table has a polished stainless steel base with clear glass top and a mirrored bottom shelf. 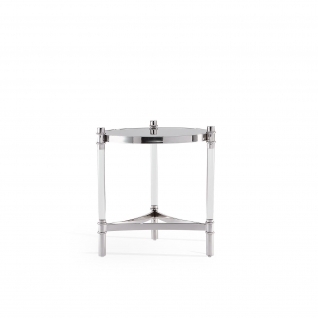 Boni luxury round end table has a polished stainless steel base with clear glass top and a mirrored bottom shelf. 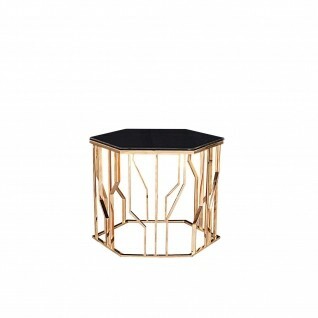 Mauris rose gold rectangular high end coffee table has a rose gold polished stainless steel base and black tempered glass top. 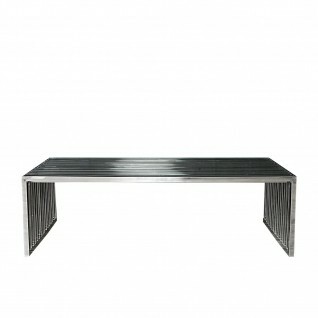 Mauris silver rectangular modern coffee table has a silver polished stainless steel base and black tempered glass top. 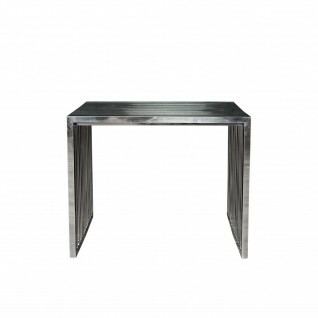 Mauris silver square modern end table has a silver polished stainless steel base and black tempered glass top. 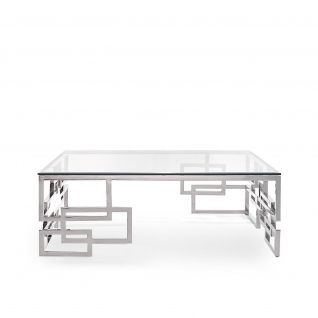 Prisco modern rectangular coffee table features polished stainless steel structure with a luxurious 15mm tempered clear glass top. 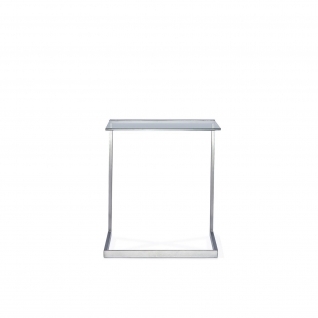 Prisco modern rectangular end table features polished stainless steel structure with a luxurious 15mm tempered clear glass top. Varossi rose gold rectangular modern coffee table features rose gold stainless steel base and frame supported by clear lucite connections with clear tempered glass top. 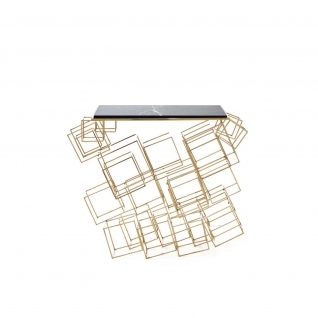 Varossi Silver rectangular modern coffee table features rose gold stainless steel base and frame supported by clear lucite connections with clear tempered glass top.